Our Easter Raffle Tickets are now on Sale. 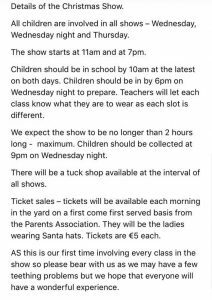 Children can buy tickets in class and tickets will also be on sale in the yard in the mornings Tickets are €2 each or 3 for €5 Raffle will be held at Assembly on Friday 12th April. 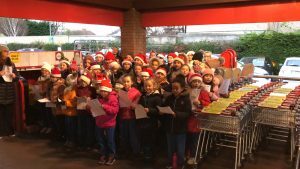 Carol Singing – Thank You! Thanks to the Parents Association for organising a great trip to the Pantomime Robin Hood today. Everyone really enjoyed it.